Tag Archives for " Brian Sun "
Brainstorming blog post ideas off the top of your head only goes so far. 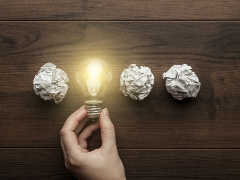 Thankfully, there are a number of ways to get into your reader’s mind to generate post ideas you know will be helpful and relevant. 1. Hop on a call with readers. A quick 10-minute phone call can provide tons of ideas in a short amount of time. Plus, you’ll get the actual language your readers use to articulate what they want to learn and their problems that need solving. What are the roadblocks you are facing with [insert your topic] right now? What [insert topic] problems have you or your team researched recently on Google, books, or blogs to learn more about? What are you curious to learn more about with [insert topic] here? 2. Send a survey asking what folks want to learn. Using a tool like SurveyMonkey, ask your readers the same list of open-ended questions in the above phone call example. You could create this as an automated email to new people who sign up for your blog digest update or as a one-time send to the existing readers on your opt-in subscriber list. 3. Research Google autosuggest results. Open an “incognito window” in your web browser and do a Google search of topics you are interested in writing about. When you do, Google will autosuggest keyword phrases people are already searching for. These are perfect for modifying into blog post titles. You could write a post called “The Beginner’s Guide to Wine Tasting in Napa” or use the direct phrase for a piece about “How to Wine Taste in Napa.” By using what people are actually typing into Google, you will increase your chances of ranking in the search results. 4. Peruse what people are saying on social media. 5. Browse Amazon book reviews. Find the top 3-5 books on Amazon that cover your blog post topics and/or you know your readers love. Look at the written reviews and keep your eyes peeled for a) what people learned and b) what they are still interested in learning about the topic. You can write a short, informative post to fill in their knowledge gap. 6. Study what’s working for similar bloggers. This isn’t about stealing or copying, it’s about seeing what readers of other blogs in your industry are responding to, then putting your own spin on it with your own unique voice and language. 7. Discover keyword volume using Google. The Google Keyword Planner gives you the volume of searches for keywords and phrases and can also be used to generate new keyword ideas. Posts that could be created from this list are “Everything You Need to Know About Customer Journey Mapping” or “How to Understand the Customer Decision Journey”. Get the idea? Transform the keywords in clickable, irresistible blog post titles. 8. Check out questions people are asking on Quora. Quora is a popular question-and-answer website. And there is a lot of questions on Quora. One estimate says there has been nearly 11 million questions asked and that number is growing daily. Similar to the other strategies in this article, search for your blog topics and take note of the questions people are asking and repurpose them into blog posts. 9. Read the table of contents in industry books. Take a “look inside” books about your topic on Amazon, specifically at the table of contents. Chapter titles are meant to draw people in and can spark inspiration for your own post ideas. 10. Share what your company is learning. People love learning from companies they like. What are some insights your team has learned recently? What’s a strategy you’ve implemented that’s been successful? Share it with your readers. 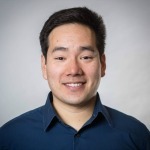 Brian Sun runs the blog at Autopilot, a marketing automation platform that helps small business owners automate the customer journey, visually. Check out Autopilot’s most popular blog post, 7 Lead Nurturing Secrets to Turn Strangers into Customers.